Well relaxing it wasn’t! Awesome it was though. 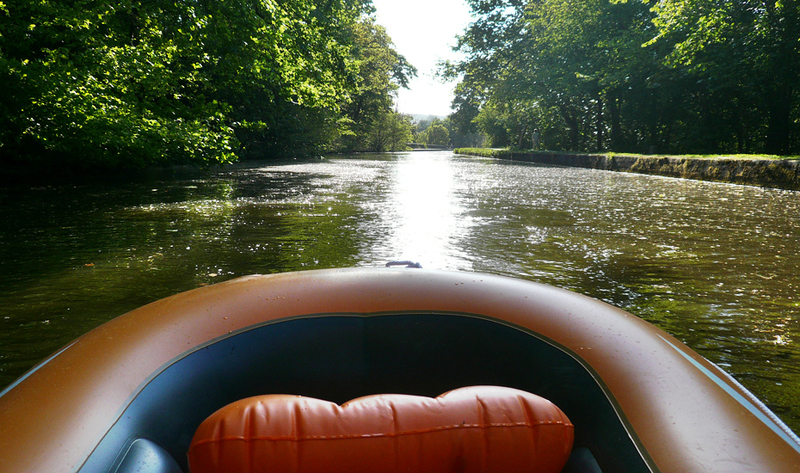 Turns out boating on the river isn’t allowed because of private fishing areas, so we took to the Leeds Liverpool canal instead – this obviously led to alot more rowing and I’m aching all over a day later. The journey took about 6 hours and was a distance of 5.45 miles. Including breaks, Swan attacks and the fact we were rowing into the wind I think we did ok for a first attempt. The boats Steve and bought had really flimsy oars too, and we broke quite a few – I had to get a tow for the final 200 metres from Dave after breaking my final oar(cheers man :)). Most importantly though, none of us sank or fell in! A selection of pics from our grand adventure below! Underwater camera fun on Aka Island! 6 Responses to Boat Trip! Why thankyou! That means alot coming from someone as talented as yourself 🙂 I was pleasantly surprised with how these pictures came out as they were taken with my old Lumix point-and-click. I was too scared to take any quality equipment with me in case I sank!